Editor’s note: As part of our Most Influential Post of 2015 contest, we are re-publishing the articles that made you think, made you act, or maybe even made your day. This article was the most-viewed post on NextBillion for August 2015. To see the full list of the most popular posts in 2015 and to vote for your favorite, click here, or simply scroll down to cast a ballot. 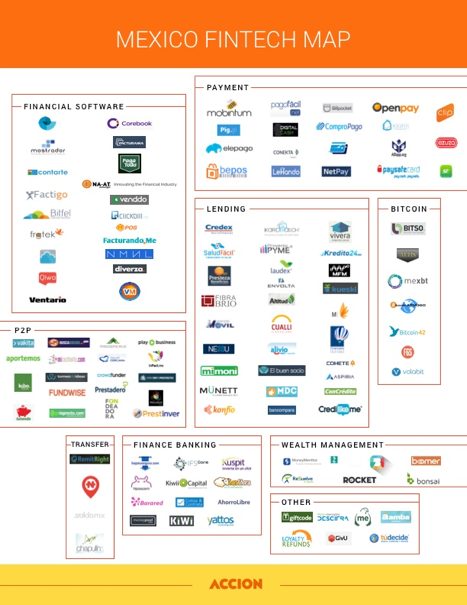 Over the past two years as financial technology (fintech) startups have exploded around the United States, a slow storm has been building in our neighbor to the south. Necessity is the mother of invention, therefore it’s no surprise that Mexico, with one of the largest underbanked populations in the region, is looking to fintech to address this widespread issue. Financial inclusion has been an important topic in Mexico as it is a key enabler to reduce poverty and boost economic prosperity. While the numbers have improved, there continues to be a large gap in access to financial services. According to the 2014 World Bank Global Findex, only 39 percent of Mexico’s population over 15 years old has a bank account, and only 10 percent has received credit from a formal institution. Yet the number of individuals who have saved informally (through friends or family) has tripled over the past three years from 5 to 17 percent, and those who informally received loans have nearly doubled from 14 to 26 percent. Mexico’s growing demand for financial services, emerging entrepreneurial ecosystem, and developing technology talent pool contributed to making the country an ideal choice for Accion Venture Lab’s first investments in Latin America: Clip, a mobile point of sale (mPOS) tool that enables credit card acceptance; Salud Facil, a health care loan facilitator; and Konfio, a digital credit platform for small and medium enterprises (SMEs). These investments are only the start of our involvement; Mexico’s burgeoning fintech space compelled us to team up with Village Capital and the MasterCard Center for Inclusive Growth to organize and promote a financial technology accelerator in February to April of this year. This was the first time Venture Lab has been an official partner in an accelerator program. As early-stage investors, we were curious to understand how we and other investors could add value in this arena of ecosystem and company building. Overall, from analyzing the cohort applicants to coordinating final pitch presentations, we learned a great deal about local market challenges and catalyzing financial inclusion in one of the markets that needs it most. 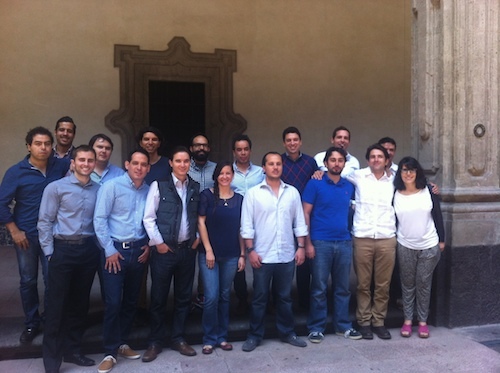 The objective of the accelerator program was clear: to find and assemble the 12 best early-stage fintech companies in Mexico, and through a three-month program, provide them with the mentors and tools they need in order to take the leap from betas to scalable businesses. We knew there would be an interesting number of startups working in this space, and were even more encouraged when we found, through our initial market scan, about 330 fintech companies operating in Mexico. Of those 330, 30 percent were lending or payment companies targeting SMEs and the rest a mix of financial software, wealth management, bitcoin payment and remittance startups. Among our final 85 accelerator applicants, we saw a large concentration of lenders, including a strong group of peer-to-peer players. This validated our original thesis that the demand for better financial services is real, and that there are a variety of startups trying to solve these issues. Given the positive response to our call for applications, we were excited to choose the final group of 12 companies to participate in the accelerator program. We based our selection on five main company characteristics: team, innovation, traction, scalability and business model. These companies were concentrated in the remittance, payments, savings and lending sectors. Some of them had a few customers or were launching pilots, while others had hundreds of clients and were focused on continued growth. All of the companies had operations in Mexico and at least one full-time team member. Zave App, which helps people build savings by making saving easy and fun. For any early-stage company, understanding the end client is extremely important to define and refine the growth path of a startup. In running this accelerator program, like a startup, we also needed a deep understanding of the needs, behaviors and wants of our participants. We assessed these by conducting a variety of pre-program surveys and calls alongside Village Capital. Responses from the cohort mentioned several needs: “We need to better understand how to acquire customers, and acquire them quickly,” wrote one. Another participant wrote, “We would like advice on sales and distribution channels for the company, and how to structure them in order to take advantage of our resources.” This gave us a fascinating insight as investors, to not only prepare for the content creation and to invite value-add mentors, but to validate some of the things that we need to be particularly thoughtful about when analyzing investment opportunities. Overall, this first-time experience of seeing what an accelerator program looks like from the inside was a valuable experience for Venture Lab. As early-stage investors, we were able to get more visibility into the process before the sleek final pitch deck. We also got a glimpse into the details that make the entire program function: the changes in schedule, the happy hours, the lost sound system, the rich mentor interactions, the efforts to rally motivation. This combination of messy and exciting pieces led to a rich experience for our team, and made us more empathetic investors, mentors and ecosystem village supporters. Jackie Hyland is a senior investment analyst with Accion Venture Lab, supporting the team’s global deal activity and portfolio engagement. Note: Accion is a NextBillion Content Partner.